Your broken washing machine can mean frustration on laundry day, or panic if you’ve procrastinated and need a particular garment cleaned NOW! Some may consider washer repair a nuisance, while others panic. Your washer has few components that can stop working at any time. However, when one component breaks or fails, everything stops. 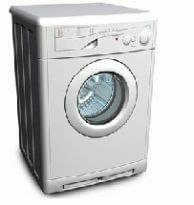 So, it is that much more important to know where the best washer repair in Brooklyn NY is when you need it.